We are a prominent Supplier & Manufacturer of Digital Controlled Welding Machines & Digital Controlled Hi Tech Welding Machines. Our product range also comprises of ARC Welding Machine, Tig Welding Machine and MIG Welding Machine. 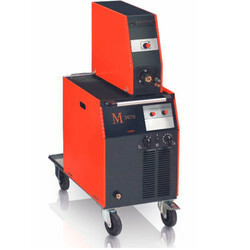 We are offering a wide range of Digital Controlled Electric Hi-Tech Welding Machines. 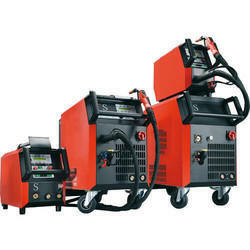 These welding machines are easy and safe to operate and require low maintenance. Our welding machines are also tested on different stringent parameters to ascertain that the high international standards are duly followed. Below are the details of the products. 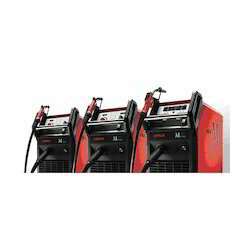 We are a leading supplier engaged in offering a wide range of Digital Controlled Welding Machines. This machine is designed and manufactured using high grade components procured from reliable vendors of the market in compliance with global quality modular. These are applicable in table mounted micro spot welders, manually operated (rocker arm type or similar) spot welding machines and also in low cost applications. Will be one of the best with the new M-Pro. Lorch Synergic Digital Controlled Welding Machine high performance integrated electronic circuit to deliver maximum output superb precision from low to high current range. The output is gate & cathode in order to fire back-to-back thyristors. clients can avail these products as per there needs. Looking for Digital Controlled Welding Machines ?